Whether it’s blazing hot or frigid outside, we’re showing you how to get your shoe game on point. 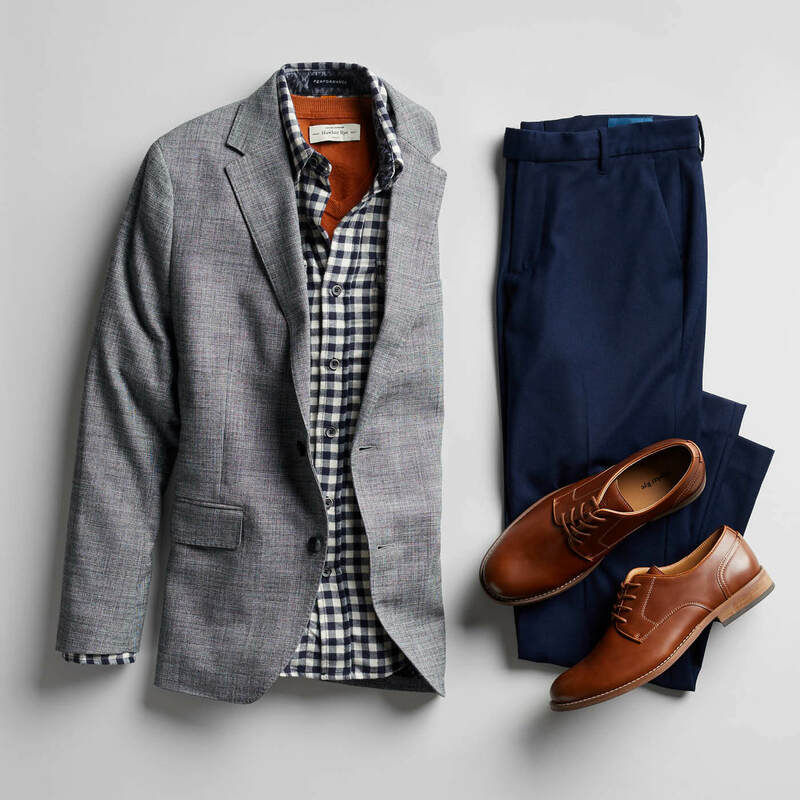 With the right footwear, you can hit both style and efficiency so you’re ready for whatever the day throws at you—occasions included. 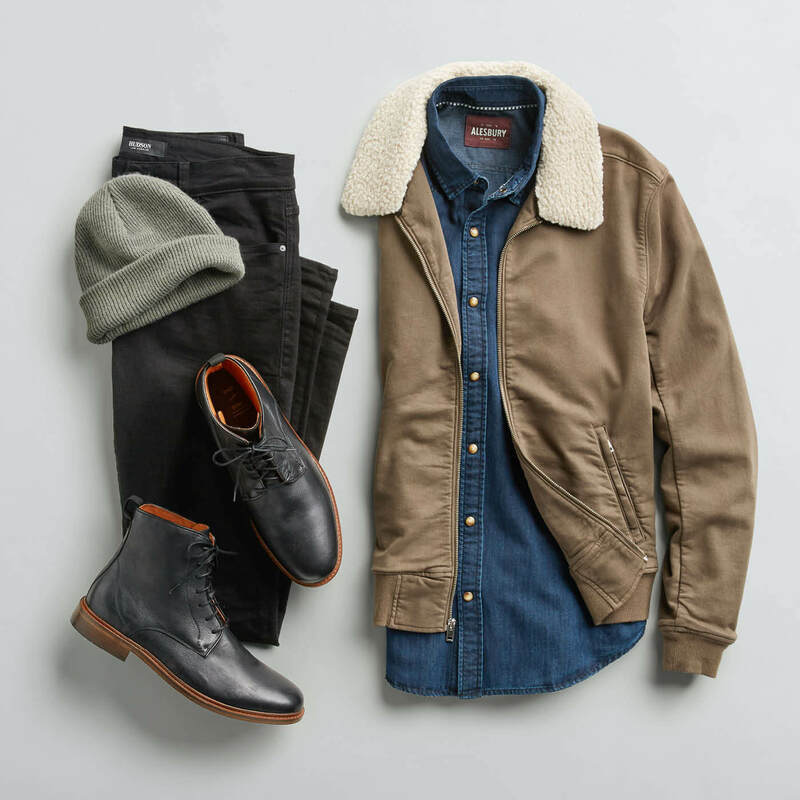 Check out this seasonal guide of the best styles to swap in and out based on the weather. 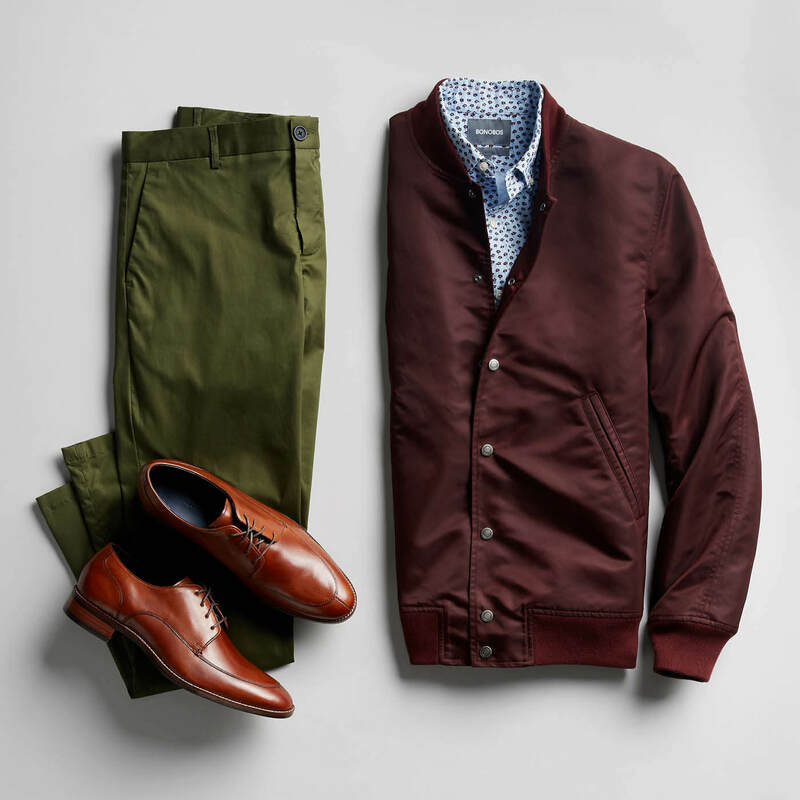 Get one step closer to finding a favorite (or two) with our style guide below. After being indoors for most of winter, you’re more than ready to hit the pavement. Take a step back in time with a pair of vintage-inspired sneakers—comfort wrapped in bold colorways. They look just as good with shorts as they do with pants, and their throwback vibe has the power to make a simple outfit interesting. There’s no better time for a dress-shoe refresh than now. Trade in heavy, leather materials (winter wins) for a lighter-weight canvas in a solid color. 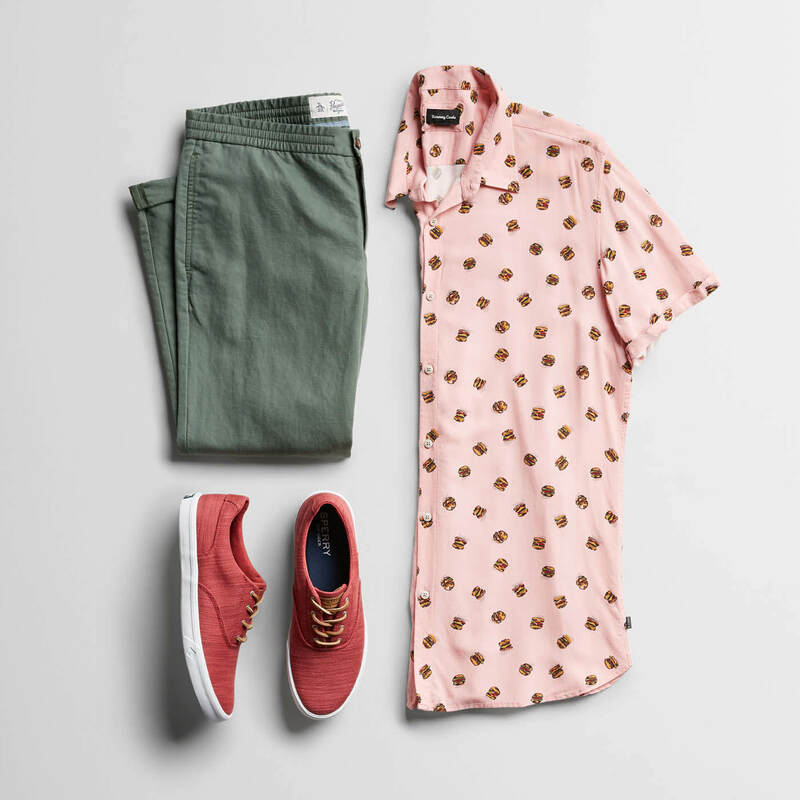 Pair them with the usual suspects (slacks, chinos, button-downs) and a few new players (shorts, jeans, t-shirts) for a subtle intro into warmer days ahead. You need something to wear for spring break, weekend getaways, trips to the pool or just getting the mail—enter the sandal. 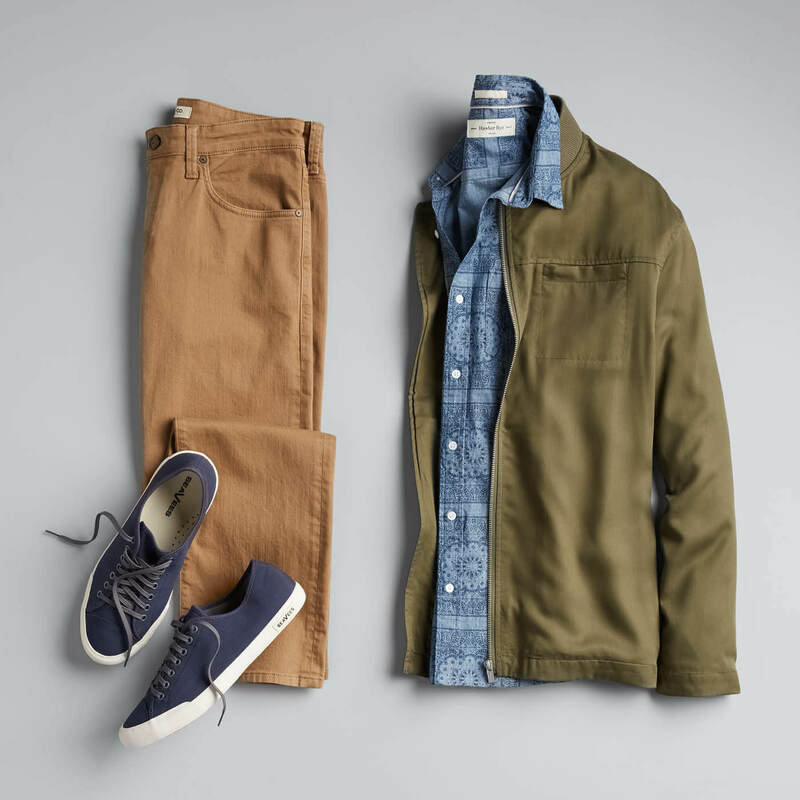 When you slide into this spring-to-summer staple made with durable materials in match-everything earth tones, you can confidently wear them outside knowing they look good. Just make sure their debut is warranted—right time, right place. For the guys who wear boots every single day, it’s easy to take a spring spin on this year-round favorite by going with a lighter shade. 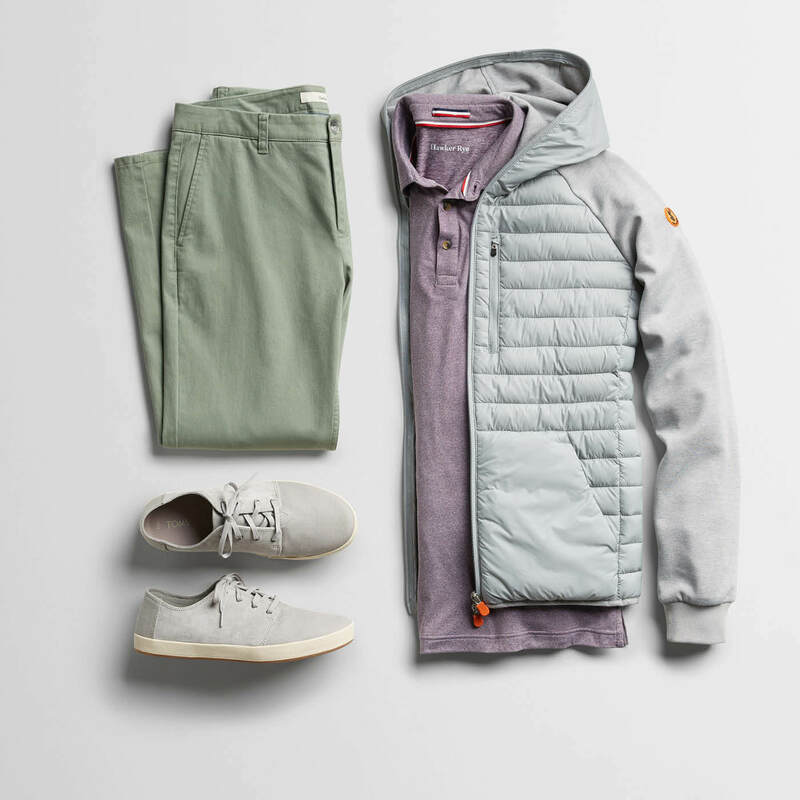 You get the same chameleon status that easily goes from day to night, same all-day comfort and durability in a color that complements pastels as well as neutrals. You can pretty much wear these with everything (even shorts), adding a tinge of refinement to your look. Going iconic comes with legacy style points and is almost always a safe bet. 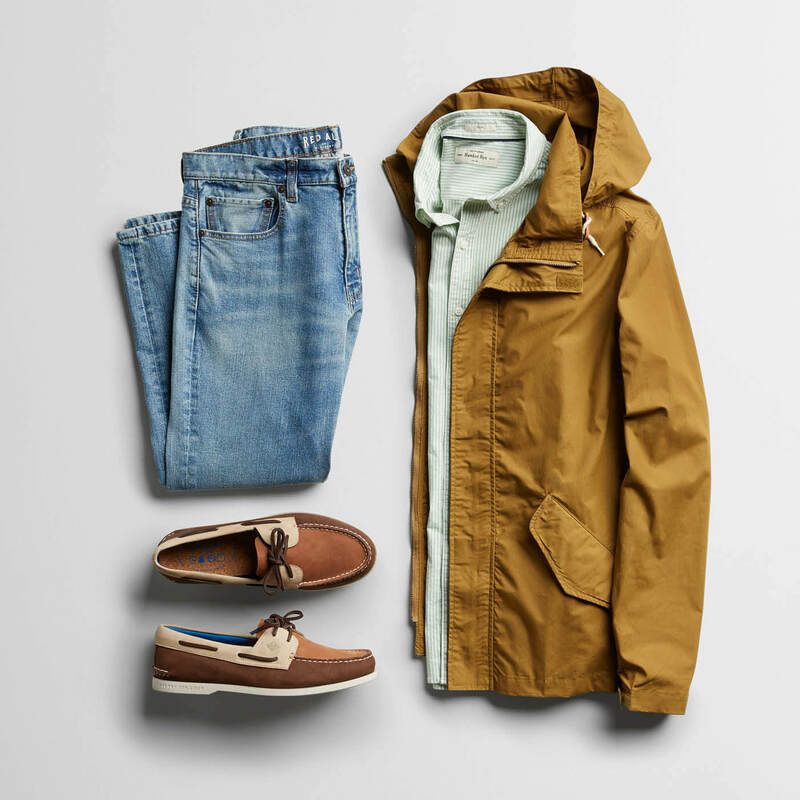 The boat shoe’s preppy simplicity, which hasn’t changed much (with good reason), makes it a fail-safe option for days when the sun makes an appearance. Top-notch leather in traditional colors will seamlessly fit into your rotation of rolled up pants, shorts and chambray shirts. And don’t forget the no-show socks. 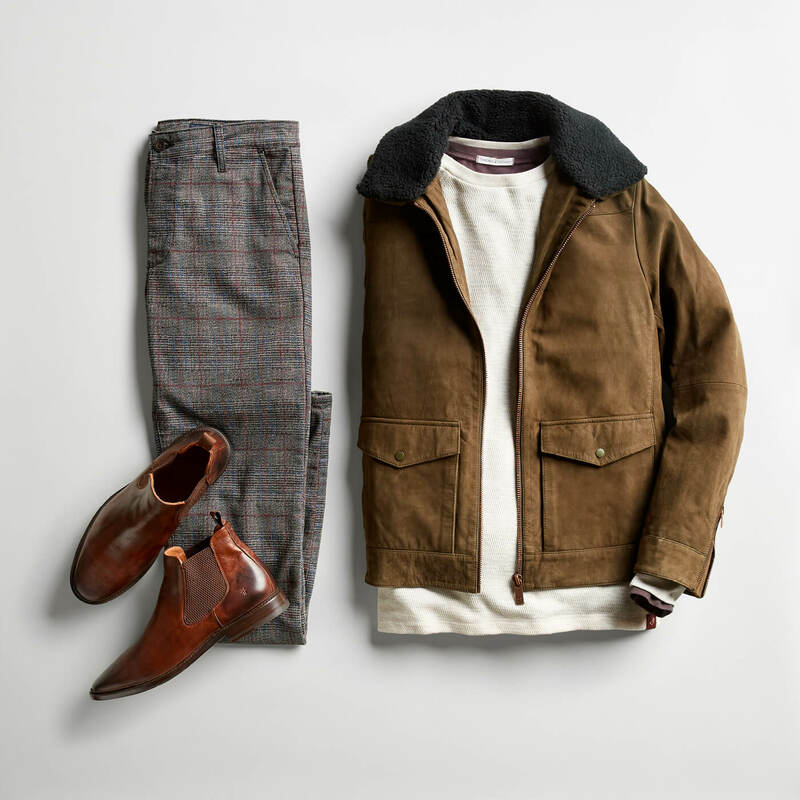 There will always be an of-the-moment shoe, jacket or hat that eventually fades away—but a classic will notably stand the test of time. 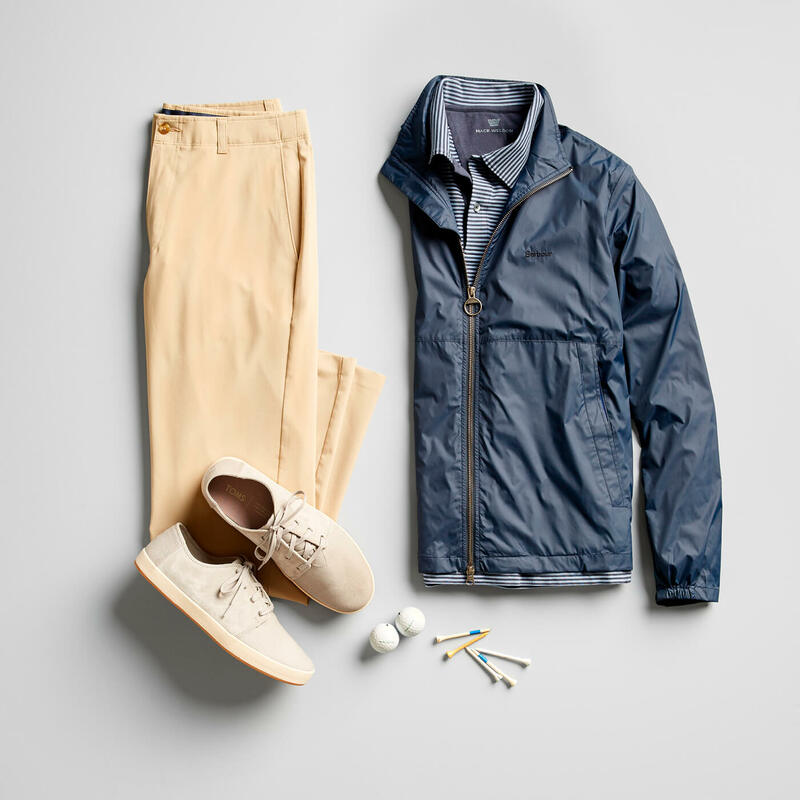 Minimal sneakers with very little flair fit under the timeless umbrella. Pick a style you like that has no logos, comes in neutral colors and has a clean shape, and you can wear it with anything. A riff off of the desert boot, the Chukka hits the smart-casual sweet spot. 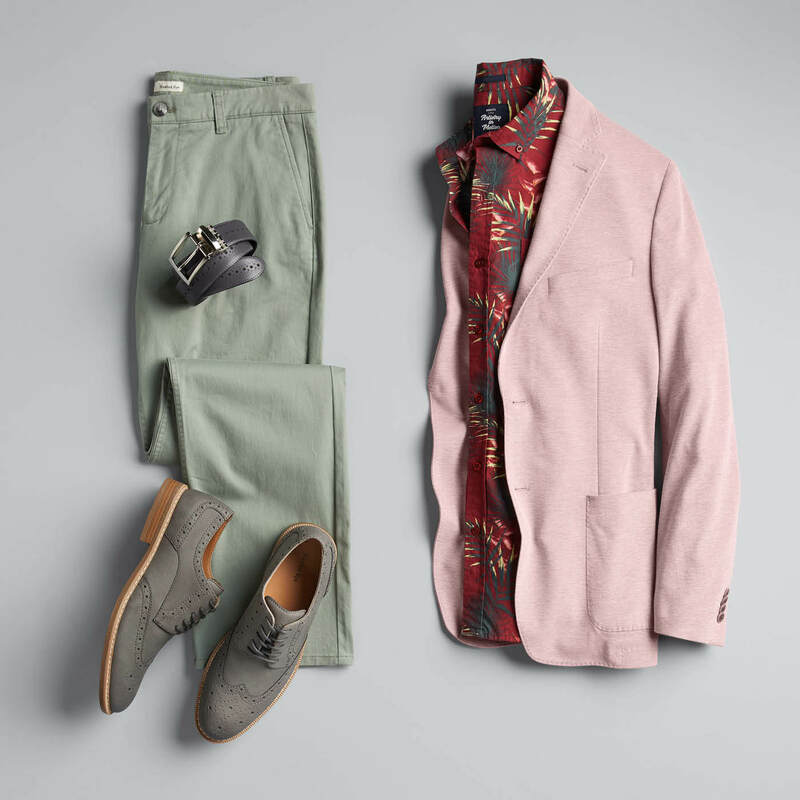 The neutral shades work equally well with both jeans and chinos. For something a bit more adventurous, try a dark color or bold hue. Bad boy Steve McQueen wore Chukkas regularly. Nothing wrong with following in his footsteps. Taking a page from the more rugged hiking boot made for tackling trails, the hiker boot boasts soft leather uppers, cushioned soles and stylish stitching. 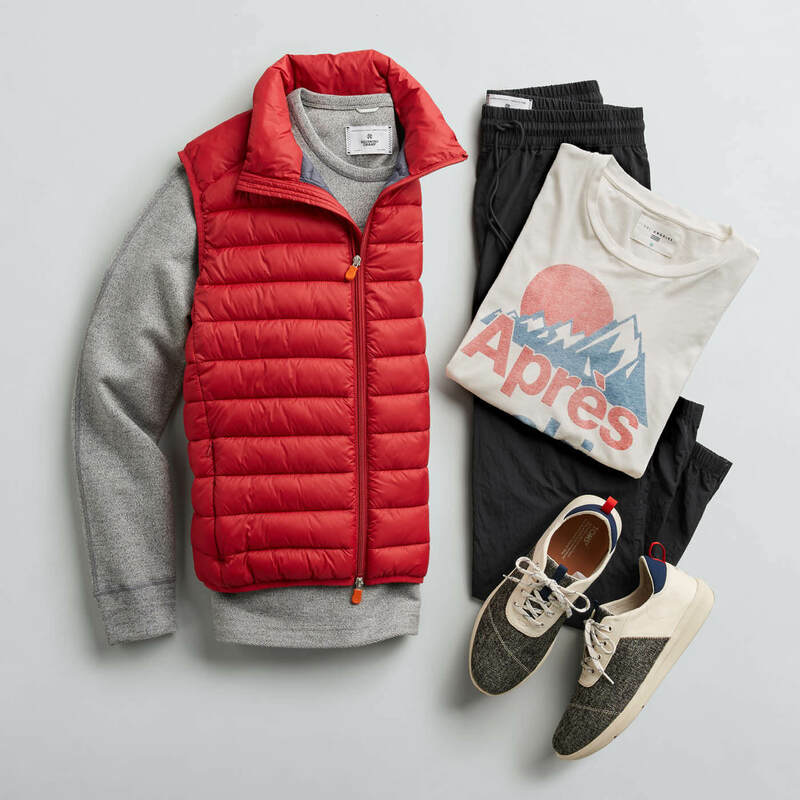 In essence, an elevated version that pairs nicely with a more casual, outdoorsy outfit (think denim vest layered over a fleece hoodie). The mountain man look, minus the mountain. The perfect choice for the dapper chap, the Brogue was originally made in Scotland and Ireland in the late 19th century. Since then, the style has evolved from a farmer’s functional shoe (complete with holes to drain water when sloshing through wetlands) to a modern fashion staple. We love the plush suede, hip side zips, and decorative perforations. Take these to the street, the office, happy hour. Just skip the bog. With athleisure wear front and center on the style stage these days, it’s hard not to give the sneaker a starring role. White canvas tennis shoes look sharp and work with just about any casual outfit, including skinny jeans and joggers. Whether you’re running laps or running for coffee, sneaks are your sole mate. 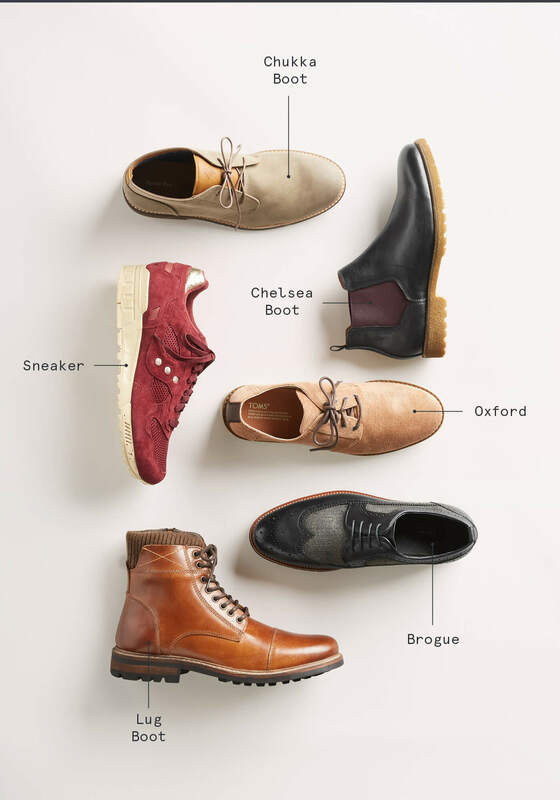 When most men think “dress shoe,” it’s the Oxford that comes to mind. With its English pedigree and sleek silhouette, the Oxford is found more often in boardrooms than barrooms. However, this doesn’t mean you can’t wear it for a less formal occasion. 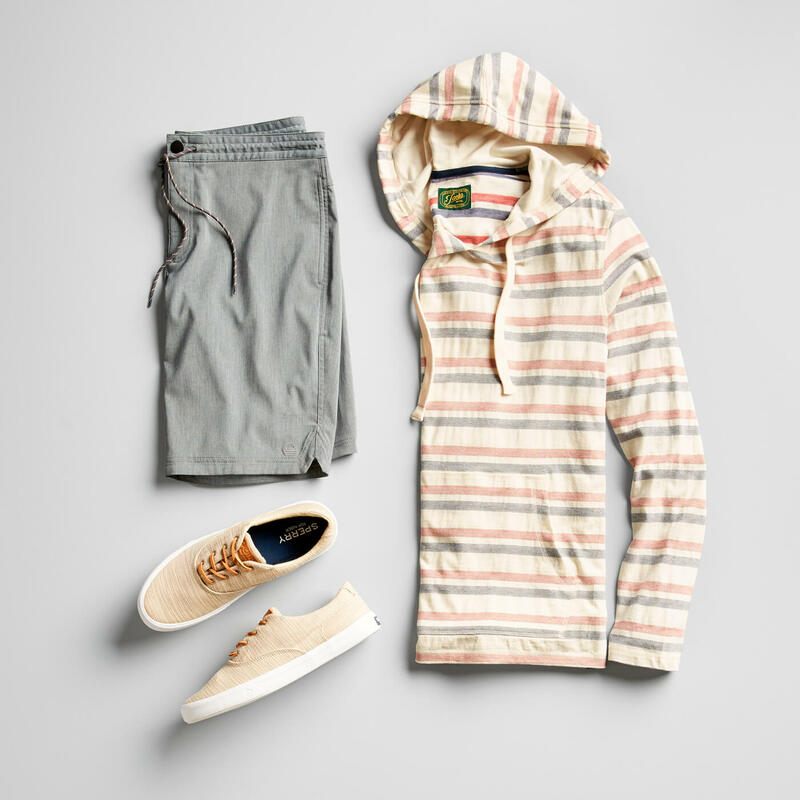 We suggest sporting a casual pair of pants (dark-wash jeans or chinos) and a knit sweater to balance the dressier vibe. Contrary to what the name suggests, these are not the lazy man’s go-to shoe. Loafers are simple slip-on shoes, designed without laces to trip you up. 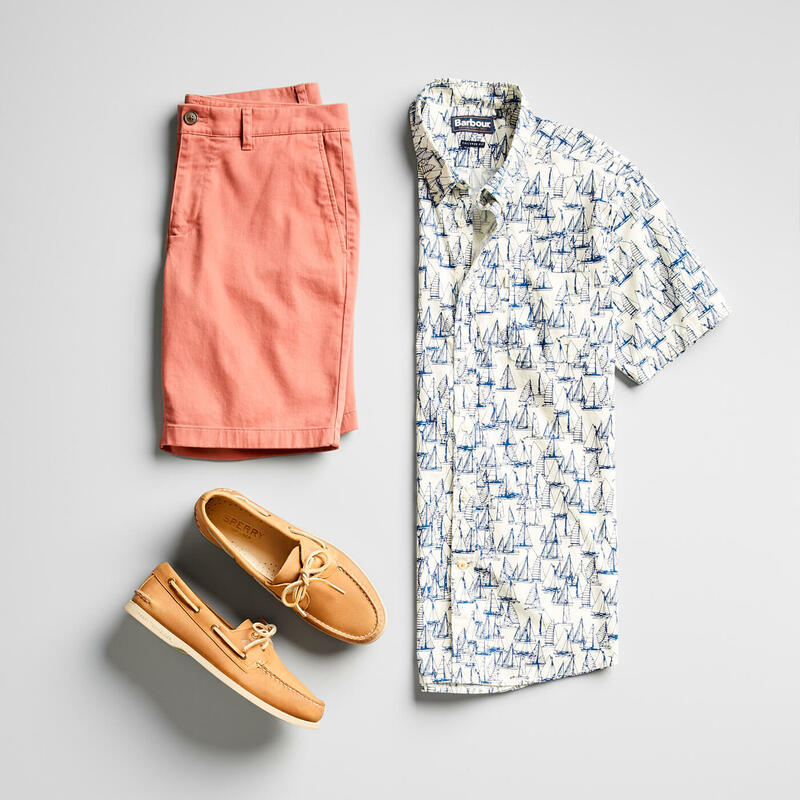 Ideal for loafing around town, around the house, even around a yacht if you’re so inclined (and don’t own a pair of boat shoes). Favored for their sturdy construction, clean, classic lines and Ivy League vibe, loafers pair easily with casual shorts, jeans and chinos. Socks or not? We say not. Built for whichever direction the weather swings, the durable lug sole improves traction due to deep indentations and grippy texture (read: no slippin’ and slidin’), while an ankle length gives extra support as you trek up and down the street. 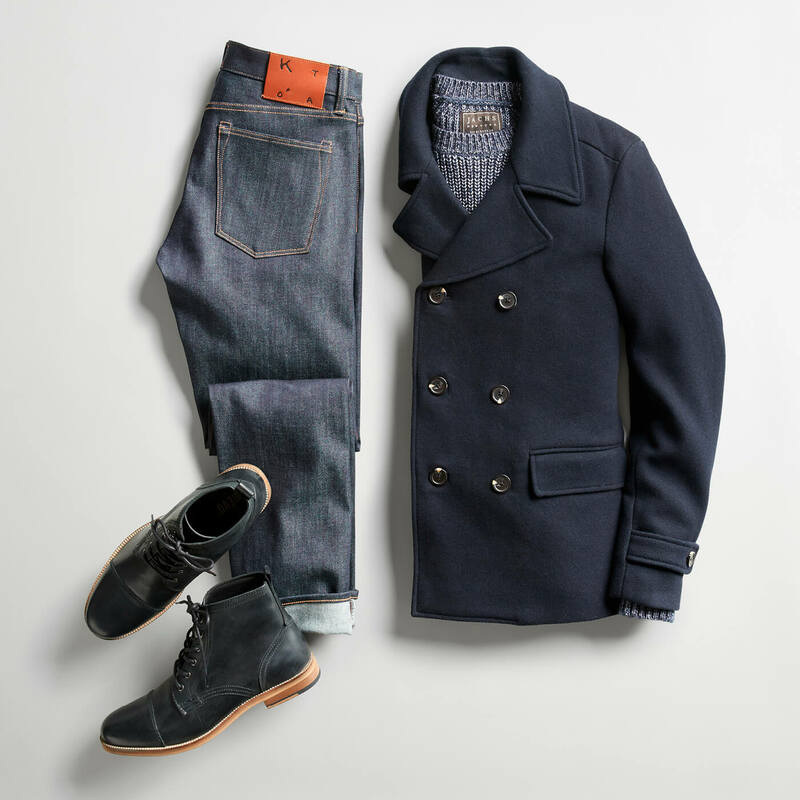 Try them with straight-leg slacks for an out-of-office meets in-office look or your go-to jeans, cuffed to hit right at the top of the boots. When a shoe comes from a long lineage of utilitarian use, the detailed craftsmanship, rooted in functionality, tends to carry over. Case in point: Sturdy materials, perforations (that used to drain water) and a sleek aesthetic make up the mix of brogues seen today. With something this well-made, you’re going to want to wear them every chance you get—dressed up, down and everything in between. Everyone needs at least one everyday shoe that isn’t a sneaker. A timeless silhouette refreshed in an unexpected texture, like corduroy, fits the bill perfectly. Walking that fine line of smart and relaxed, your supreme comfort will remain a secret as you switch from denim to chinos to suit pants. Sneaker culture is at the forefront of menswear with no signs of slowing down. Comfortable, cool factor and possibly a collectible—that’s a winning trifecta in our eyes. 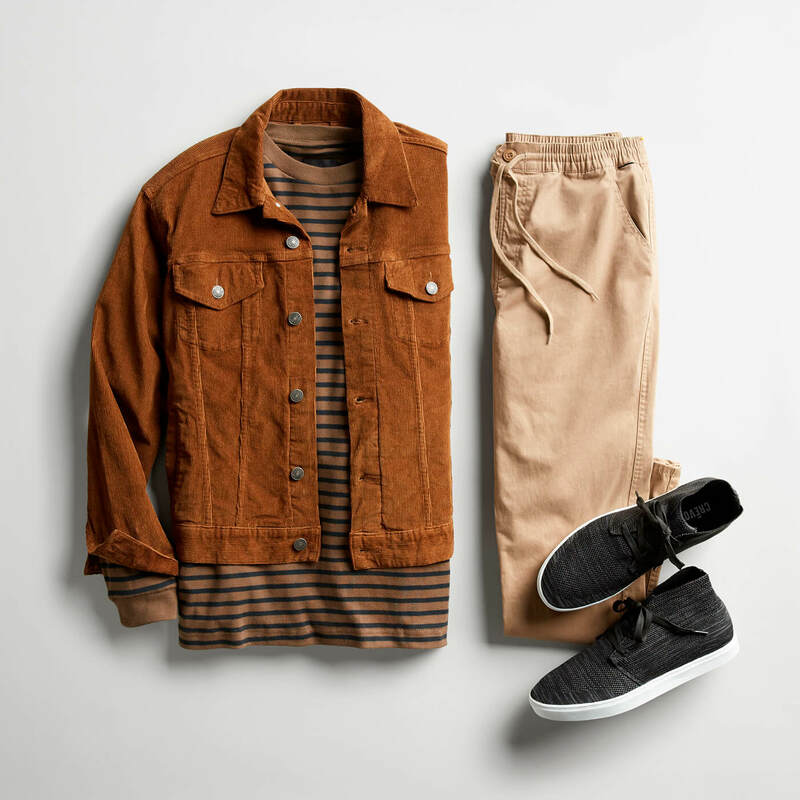 With endless colorway options, now’s your chance to bring the heat with darker, winter-ready hues and rich fabrics (we like suede) as you hit the pavement with a little more pep and style in your step. If you’re on the hunt for a universally good-looking, slightly edgier shoe, this is it. A sleek shape in an easy, pull-on style with an even easier wearability factor means you can turn the most basic look up a notch. 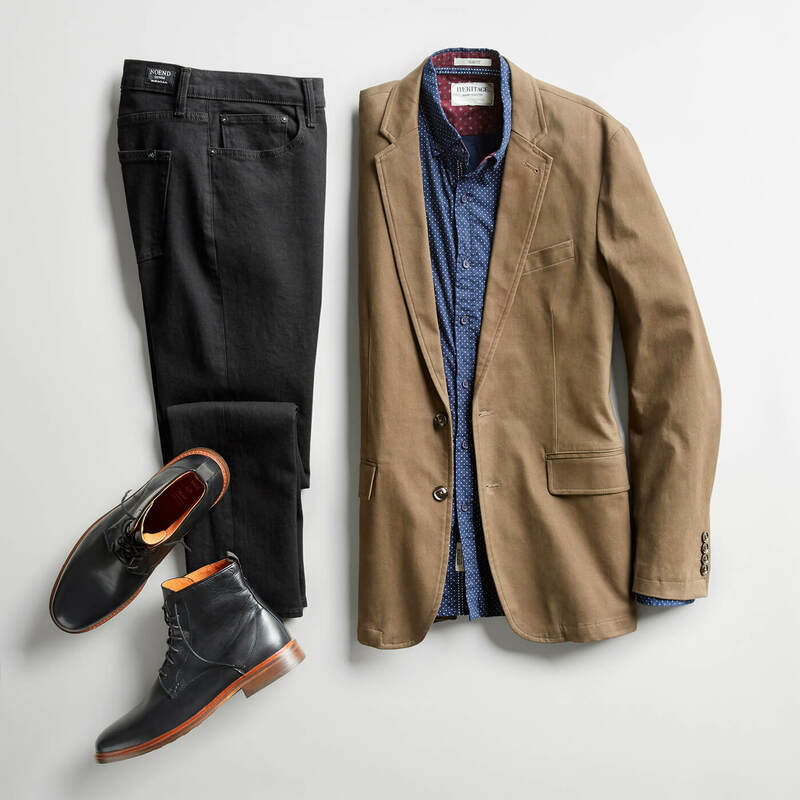 So, whether you’re wearing your favorite jeans-and-tee uniform or a skinny-fit suit, there’s a pair that will subtly or loudly complement whatever look you’re going for. There are many variants of this classic style but most have the recognizable characteristics: leather or suede, hits right at your ankle, only a few eyelets for laces and that ideal combo of elevated casual. You’ll get so much wear out of them: They play well with other pieces in your closet, feel good after you break them in (maybe even before, if you’re lucky) and successfully transcend trends. 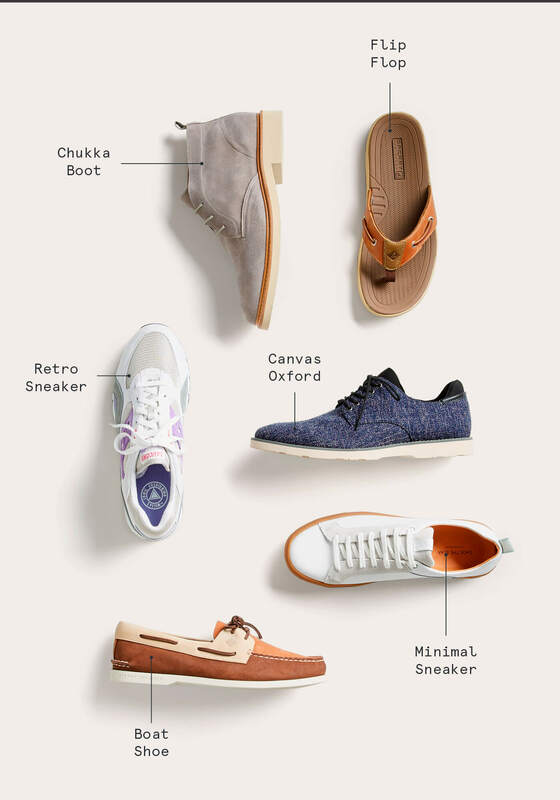 Now swipe through to see how you can pair these shoes. 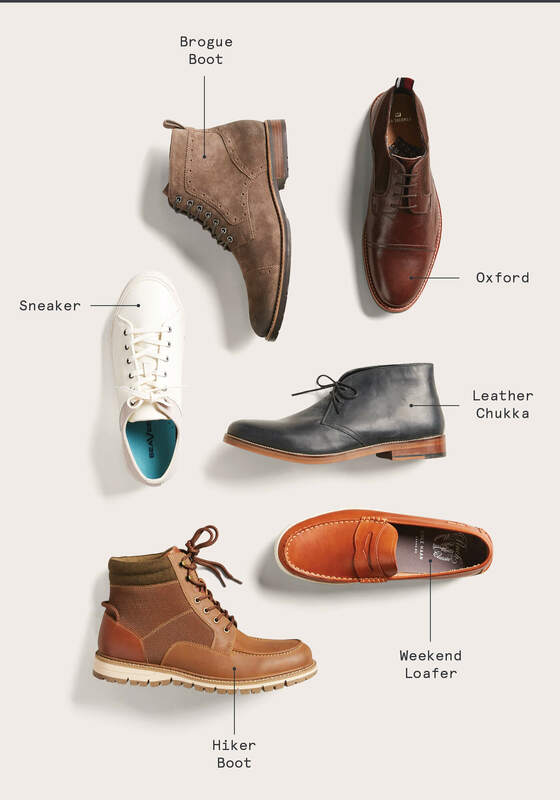 You’ve heard it before, “Shoes make the man.” Schedule a Fix to get your feet decked out in new kicks.